Every season, we donate fresh, organic food grown right here in The Garden at 485 Elm to local organizations that feed community members. This year, more than forty pounds of fresh, organic garden food went to the Montpelier Food Pantry. Caitlin Roseen, who is completing her first season gardening here, is also a Montpelier Food Pantry volunteer. She regularly harvested and delivered fresh garden produce to the food pantry. Caitlin volunteers there twice weekly, so she has become familiar with the produce that pantry customers are likeliest to select to feed their families. 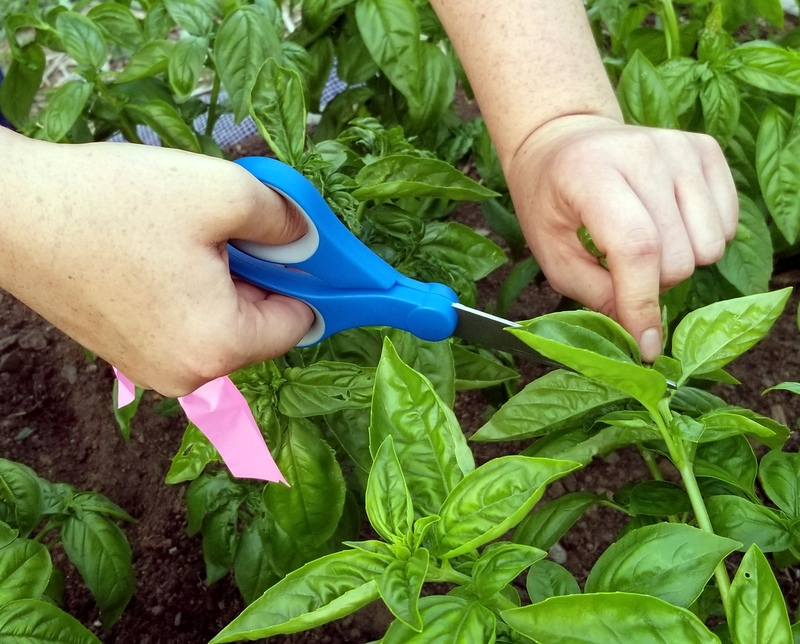 As in past seasons, we also delivered fresh garden food that became ingredients in free weekly community lunches at the Unitarian Church of Montpelier and Christ Episcopal Church. Caitlin harvests lettuce leaves for donation to the Montpelier Food Pantry. Caitlin’s technique, picking leaves from the outside in while leaving a robust center crown, demonstrates how we pick greens here. That allows each plant to continue producing. Eventually, when plants bolt, we pull the entire head and eat, share every part that’s still delicious, and compost the rest. These fresh basil leaves. at their peak beauty and taste, were donated to the Montpelier Food Pantry earlier this season. 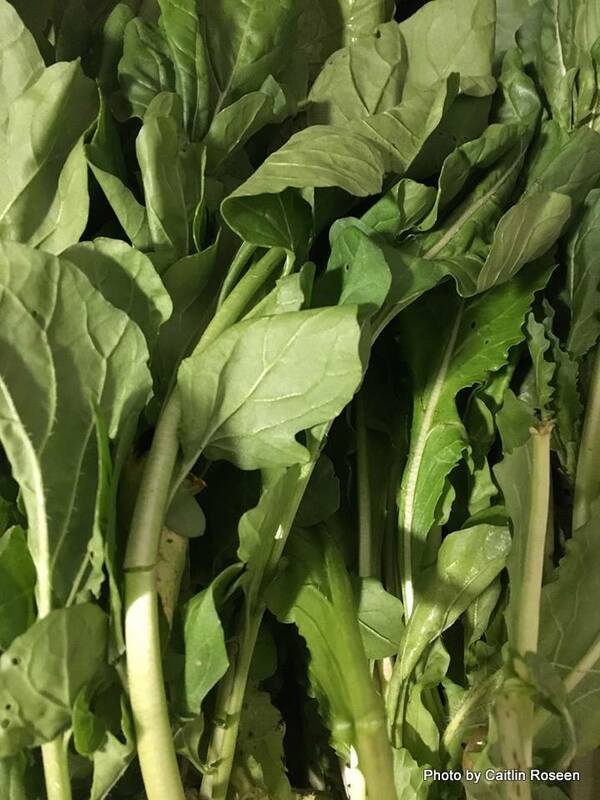 This beautiful arugula, along with Swiss chard, herbs and pole beans, were among the offerings available to Montpelier Food Pantry customers on an early October day.